Paralyzed patients were able to reach and grasp objects by controlling a robotic arm with their thoughts, a new study reports. This advance may help restore some independence and improve quality of life for people who've lost the use of their limbs. Muscle movement is directed by signals travelling from the brain through the spinal cord. A break in this signaling-caused by spinal cord injury, stroke or neuromuscular disorders-can bring about paralysis. One approach to restore functional movement is a brain-computer interface-a direct communication pathway between the brain and an external device. A team of researchers led by Drs. Leigh Hochberg and John Donoghue at Brown University, Massachusetts General Hospital and Harvard Medical School has been developing a brain-computer interface system called BrainGate. In the BrainGate system, a tiny sensor containing 96 hair-thin electrodes is inserted into the motor cortex, a part of the brain that controls movement. When electrodes sense brain cell activity, the system turns these signals into digital commands for external devices. 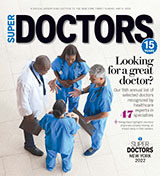 New results from the ongoing clinical trial were published in Nature on May 17, 2012. The report described 2 patients, a 58-year old woman and a 66-year-old man, who were paralyzed by stroke. The work was funded in part by NIH's Eunice Kennedy Shriver National Institute for Child Health and Human Development (NICHD), National Institute on Deafness and Other Communication Disorders (NIDCD), National Institute of Biomedical Imaging and Bioengineering (NIBIB) and National Institute of Neurological Disorders and Stroke (NINDS). Both participants learned to perform tasks, such as reaching for and grasping foam balls, by using their thoughts to control a robotic arm. By imagining movements of their own arms and hands, the participants successfully grasped the targets on 21% to 62% of attempts during several sessions using 2 different robotic arms. One of the woman's tasks was to reach for a bottle, bring it to her mouth and drink coffee through a straw. She was able to complete 4 out of 6 attempts. This was the first time in 15 years that she was able to sip a drink without a caregiver's help. Her performance also demonstrates the device's long-term potential, as her chip was implanted more than 5 years ago. "This is another big jump forward to control the movements of a robotic arm in 3-dimensional space. We're getting closer to restoring some level of everyday function to people with limb paralysis," Donoghue says. While the findings from this study are promising, the researchers' ultimate goal is to connect the brain to paralyzed limbs rather than to a robot. As the trial continues, the BrainGate research team will test the technology in more people. They envision a system that would be stable for decades, wireless and fully automated. "The researchers have begun the long, difficult process of testing and refining the system with feedback from patients, and they've found that it is possible for a person to mentally control a robotic limb in 3-dimensional space," says NIBIB Director Dr. Roderic Pettigrew. "This represents a remarkable advance."